That sign won’t stop m, because I can’t read! – Nihao's It Going? 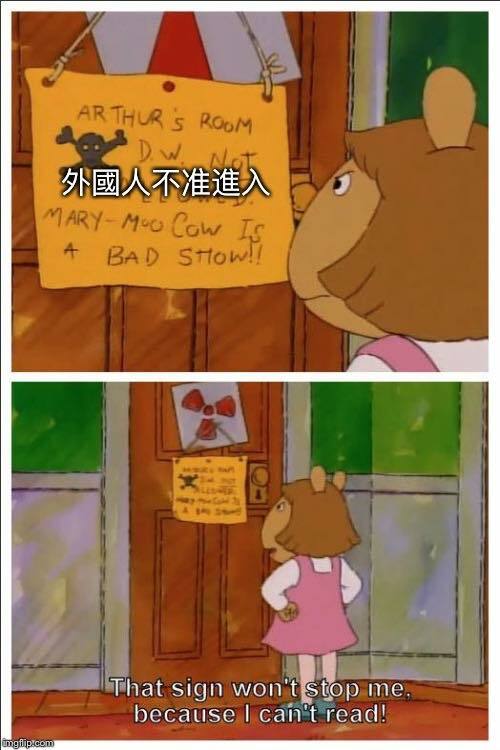 That sign won’t stop m, because I can’t read!